As a resume writer and recruiter, I have spent countless hours interviewing top talent. A commonly cited challenge by candidates of all levels and backgrounds is how to identify and speak confidently of their most marketable attributes and skill sets. But it’s exactly this type of thinking that will distinguish you from candidates with similar backgrounds and skills, and answer the question – what do you bring to the table that’s unique, and why would we benefit from hiring you? 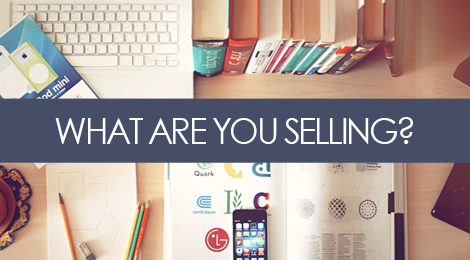 If you struggle to answer this question in a casual conversation – how can you expect to sell an employer on your value? It’s important to first understand what defines “value”? The unique combination of skills, experience, education/training, and other aspects of your background formulate the package that you’re ultimately marketing to an organization and hiring manager. But it’s more than a list of bullet points or cumulative years of experience that grabs attention. For instance, if I were to market myself as a “resume writer” – one could assume that I’m selling 10 years of HR experience and strong writing skills. But what I’m actually selling is the value that I bring to a customer – which is an ability to tap into their core skills, craft an interesting story, and use my writing and design background to position that in a way that appeals to hiring managers and secures them an interview. Essentially, I’ve isolated out 1) who my audience is, 2) what they want, and 3) how I can leverage my skills and talents to provide them with it in a unique way. It’s not enough in today’s job market to describe what you’ve done by mimicking the style of a job posting. Skills are important, but providing context around how those skills can bring value to an employer is critical. Employers want to know what you’ve accomplished and that added value in your position – whether that was securing a multi-million dollar account, or switching to a new toilet paper vendor that ultimately saved money. Not everything has to be an earth-shattering accomplishment – it just has to show how your strengths and skills provided a direct benefit. Since many people struggle with figuring out what these aspects are and how to effectively communicate them, I created a list of prompts to jog your inner strategist. set me up for / to ____________________. provided me with a thorough understanding of __________________. created a niche expertise in ________________________________. given me the unique ability to _______________________________. I often find that clients become more clear around their value, accomplishments, and marketable traits when they take the time to ask thoughtful questions and verbalize their answers. Utilize this exercise to generate some high-level ideas around the specific value-added areas, skills, or attributes that you bring to the table. While direct experience, training, and knowledge is just as important for fit, answering these questions digs deeper to help you understand what you are selling, and how to differentiate yourself from your competition within a saturated market. Tags: career, communication, cover letters, hr, job search, marketing, personal branding, resume. Bookmark the permalink.